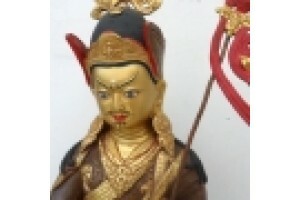 Chenresig, Guru Rinpoche, Maitreya, Manjushri, Milarepa, Ganesh, Dzamballa, Kuan Yin. 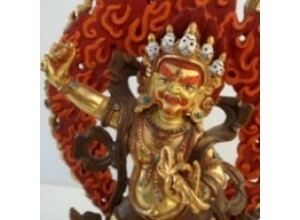 These statues are handmade in Nepal by skilled craftsmen trained in family lineages. Each image is made from a wax model which melts during the copper casting process. The 'lost wax' method results in enhanced detail, life expression and refined finish. 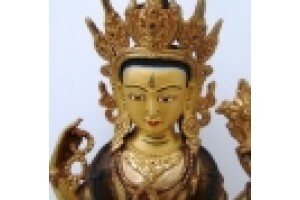 Gold powder is used to paint the face and the ornaments are usually gold plated. Care must be taken not to attempt to clean polish the fine gold painted face. 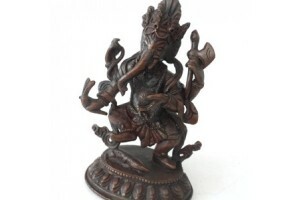 Sitting Ganesh, 12cm. Lost wax method. Copper. 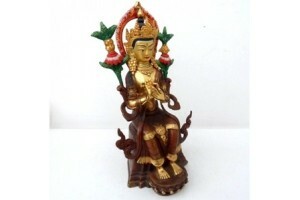 Ga..
Deity of compassion. 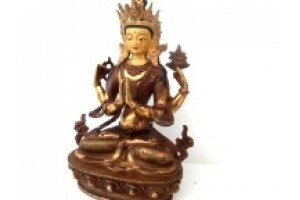 Size 21cm (8") Copper lost wa..
A particularly fine rupa of Padmasambhava, the tan..
32cm Copper Chenresig with part gold plate. 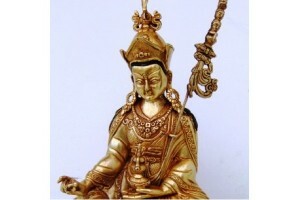 Lost w..
Guru Rinpoche, part gold plated. 36cm high (exclud.. 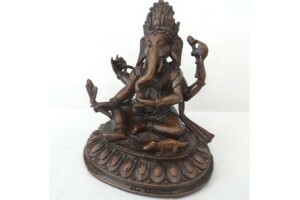 Sitting Ganesh, 9.5 cm tall.Lost wax method. Coppe..